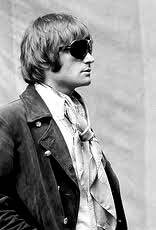 MARTY BALIN FOUNDING MEMBER AND LEAD VOCALIST OF JEFFERSON AIRPLANE. HIT SONGMAKER OF JEFFERSON STARSHIP. PLATINUM AND GOLD SOLO ARTIST,ROCK AND ROLL HALL OF FAME INDUCTEE AND GRAMMY LIFETIME ACHIEVEMENT AWARD RECIPIENT. Born Martyn Jerel Buchwald in Cincinnati, Ohio, on January 30, 1942, Marty was raised in the San Francisco Bay Area by parents Joe and Jean Buchwald. Joe became an important part in the 60s San Francisco music scene. As a lithographer, he was responsible for printing more than 200 different posters for shows at famous clubs like the Matrix, the Fillmore and Avalon Ballrooms. Jean started and kept the Jefferson Airplane Scrap Books featuring many of the bands photos and newspaper clippings throughout the peak of their historic popularity. Growing up, Marty was always involved in art, music and dance. He attended San Francisco State University; initially pursuing a career as a painter. After appearing in a production of West Side Story, Balin turned to music with the encouragement of his good friend Ralph’s brother, Johnny Mathis. In 1962 Marty renamed himself Marty Balin and began recording with Challenge Records, releasing the singles “Nobody But You” and “I Specialize in Love”. Balin was the lead for the folk music quartet called The Town Criers, followed by a brief stint with the Gateway Singers in 1965. Ultimately Marty wanted to electrify the folk sound. “I wanted to play with electric guitars and drums, but when I mentioned that notion in clubs that I played, the owners would say, “We wouldn’t have you play here, not with drums and electricity. This is a folk club. So I decided to open my own club.” Balin opened the Matrix night club on August 13th 1965 featuring his new band Jefferson Airplane. The Grateful Dead, The Doors, Janis Joplin/Big Brother and The holding Company and Steve Miller are but a few other iconic Rock bands who performed at the Matrix. “Marty was the one who started the San Francisco scene,” says Bill Thompson, Balin’s roommate back in the mid-’60s and former manag­er of both the Jefferson Airplane and Jefferson Starship. “Back in those days Marty was quite the businessman” said Paul Kantner. “He was the leader of the band on that level. He was the one who pushed us to do all the business stuff, orchestrating, thinking ahead, looking for managers and club opportunities. He was very good at it”. At the end of 1978, after contributing several major hits including “Miracles,” “With Your Love,” “Count on Me,” and “Runaway” with Jefferson Starship, Marty left the band. In 1981, he released his first solo album, Balin, featuring two top hits. “Hearts” and “Atlanta Lady”. Marty Balin’s Solo Career has proven to be as successful as his past music endeavors. Marty enjoys the Powerful exchange of energy between himself and his audience. Marty Balin resides in Florida and San Francisco with his wife Susan Joy Balin, formerly Susan Joy Finkelstein, and his daughter Delaney Balin. Together they have four daughters. Marty’s daughters Jennifer Edwards and Delaney Balin, and Susan’s daughters Rebekah and Moriah Geier.